Meghan Cox Gurdon is the author of The Enchanted Hour: The Miraculous Power of Reading Aloud in the Age of Distraction, from which this essay is adapted. Not long ago, a woman named Linda Khan sat by a hospital bed feeling ill at ease. Her elderly father lay beside her. His heart was faltering and he needed surgery. That wasn’t what was bothering Ms. Khan, though. What troubled her was that all day, the two of them had engaged in nothing but depressing small talk. They had always enjoyed good conversations, but now her father seemed sunk in querulous contemplation of his predicament. He talked about the hospital food, the tests, the doctors, the diagnosis. The scope of his once wide-ranging interests seemed to have shrunk to the size of the room. The world outside seemed remote, disconnected, irrelevant. Casting around for a way to divert her father’s thoughts, Ms. Khan noticed a stack of books that people had brought to the hospital for him. He’d always been a big reader, but of late didn’t have the energy or focus. Epiphany struck. She picked up a copy of Young Titan, Michael Sheldon’s biography of Winston Churchill, and started to read it out loud. The two of them ended up reading for an hour that day. It was a relief and a pleasure for both of them. The book gave the daughter a way to connect with her father and to improve a situation that was otherwise out of her control. Listening allowed the father to travel on the sound of his daughter’s voice, up and out of the solipsism of illness and back into the realm of mature intellectual engagement, where he felt himself again. Reading aloud is something most of us associate with young children. There’s no quicker way for a filmmaker to show that an adult and a child have a loving relationship than to depict the elder reading to the younger. It’s cinematic shorthand for good reason. Reading aloud with kids is a magical experience that brims with love and language and imaginative discovery. It’s excellent for children, too: We’re learning more all the time about the cognitive and social-emotional boost they get, especially in the early years when their brains are growing fast (in the first year, a baby’s brain doubles in size; by his or her third birthday, the brain has completed 85 per cent of all the growth it will have). So reading in the early years can have profound, life-shaping consequences. What many people don’t realize is that the magic still operates when everyone involved has long since grown up. Linda Khan discovered it by accident. For Neil Bush, the late-life hospitalizations of his famous parents George H. W. and Barbara Bush were an opportunity to repay a debt of gratitude. “When I was a kid, [my mother] would read to me and my siblings,” Mr. Bush told a reporter last year. With his parents in and out of care, he said, “we’ve been reading books about Dad’s foreign policy and more recently, Mom’s memoir. And to read the story of their amazing life together has been a remarkable blessing to me, personally, as their son.” His mother died the day after he gave the interview; his father died in November. Feb. 15, 1990: First lady Barbara Bush reads to children at a day care centre in New York. 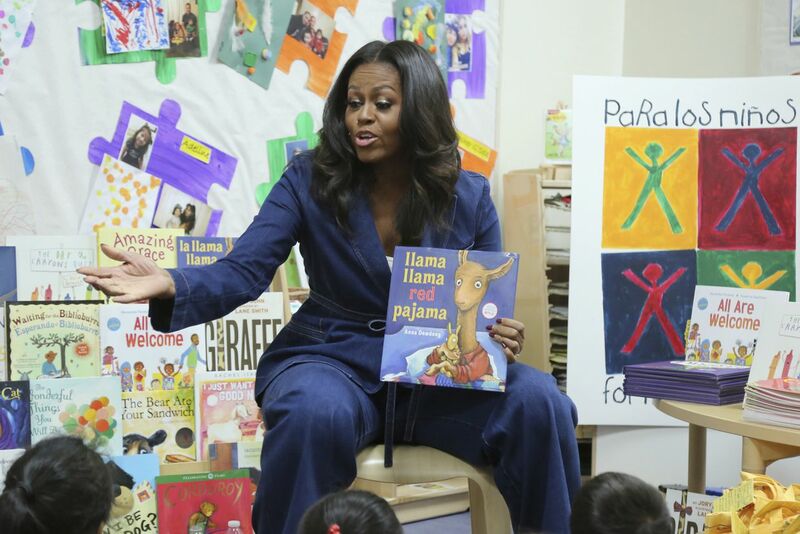 Former first lady Michelle Obama reads a book to children during a surprise appearance at Para Los Niños in 2018. In Washington, D.C., first lady Melania Trump sits beside Nathan Simm while reading a children's Christmas story during her visit to Children's National Health System. Before the ubiquity of screens, reading to the sick and convalescent was reasonably common. Albert Einstein, for instance, used to read the Greeks – Empedocles, Sophocles, Aeschylus, Thucydides – to his sister Maja in the evenings after she suffered a stroke and was bedridden. Princeton, N.J., 1955: Open books, papers and a familiar pipe lie on the desk of Albert Einstein (pictured at right in an undated photo) at the Institute for Advanced Study. 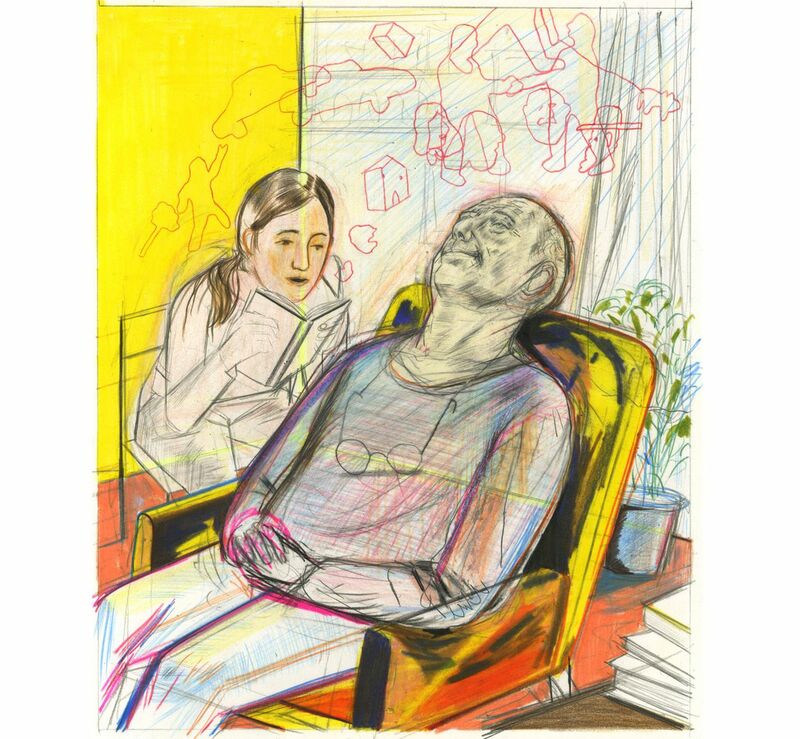 A person constrained by illness or old age may need a collaborator in order to escape the fetters. There’s a wonderful literary example of this in Michael Ondaatje’s 1992 novel, The English Patient. The main character has horrible burns over most of his body. He’s active only in his mind and, unfortunately, the young Canadian nurse who reads to him keeps mangling the Kipling. The English patient’s request is a good reminder that reading aloud needs to be considerate as well as companionable. No one wants to hear a voice droning on without regard to the words or the listener. At its best, the experience becomes a piece of art that the reader pulls from thin air and gives as a gift to the hearer. The beauty of the language, the reader’s phrasing and intonation, the pauses between words and sentences, the timbre of the voice and its warmth or chill: All these things communicate themselves in a complex aesthetic experience that’s as transient as breath and as comforting as physical touch. In Britain, thousands of people attend reading groups run by a charity called The Reader, which was founded in 2002 by a professor at the University of Liverpool who wanted to bring great literature out of the ivory tower and into places where ordinary people live, and in particular to places where they suffer. The organization sponsors groups for foster children, teenagers, prisoners, psych-ward patients, recovering drug addicts, as well as for nurses and stressed-out caregivers. There are groups for Alzheimer’s patients. And there are groups for the elderly, such as the one I visited at a facility for the frail and aged in North London. It was a June afternoon and half a dozen people had assembled at two round tables. Outside, clouds hung heavy in the sky. Inside, the meeting place was pleasant and hotel-like, with soft carpeting and stand-alone bookcases. There was no medicinal smell, no sign of the violent catastrophe that had shaped these people’s lives. A younger woman, Kate Fulton, had just served hot cups of tea, and now she handed out sheaves of stapled photocopies. Amusement ran around the tables. This was being explained for my benefit. “Above the old man’s head was the dovecote, a tall wire-netted shelf on stilts, full of strutting, preening birds. The sunlight broke on their grey breasts into small rainbows. His ears were lulled by their crooning, his hands stretched up towards his favourite, a homing pigeon, a young plump-bodied bird which stood still when it saw him and cocked a shrewd bright eye. Most of the listeners sat unmoving, their faces angled down as they read the words they were hearing. One woman, blind behind dark glasses, had her face turned toward the reader. The room was filled with a kind of quiet, concentrated intelligence. There was an open and interested knowingness in this group of people whose accents – Gallic, Teutonic, English expatriate – hinted at the postwar diaspora that had brought them all to the predominantly Jewish neighbourhood of Golders Green. All of them were Holocaust survivors. At the time of my visit, Ms. Fulton had been reading to the group for five years, having given up a career in law to “nourish the soul rather than the bank balance,” as she put it. “I have to make sure the imaginative places that I take them are varied,” she told me. “We went to a magic shop with H. G. Wells the other week. We’re walking down some Russian street with Chekhov, we’re somewhere with Maupassant or we’re just having a door fixed with Rose Tremaine. “It’s interaction with other people,” a man put in. In a 2010 survey in Britain, elderly adults who joined once-a-week reading groups reported having better concentration, less agitation and an improved ability to socialize. The survey authors attributed these improvements in large part to the “rich, varied, non-prescriptive diet of serious literature” that group members consume, with fiction encouraging feelings of relaxation and calm, poetry fostering focused concentration, and narratives of all sorts giving rise to thoughts, feelings and memories. That’s positive in itself, of course, but there’s more: “Research suggests that the inner neural processing of language when a mind reads a complex line of poetry has the potential to galvanize existing brain pathways and to influence emotion networks and memory function.” That seems to be what happened to the silent member of Ms. Fulton’s group when she heard the Longfellow poem. For many adults, being part of a read-aloud session offers the physiological relief of being in the company of others. Elderly people who live alone or in nursing homes may have only rare contact with others, and even then the exchanges may be more practical and transactional than sincere or prolonged. The same is true for men and women living behind bars, or in hospitals. They may not have much opportunity to engage with other people as equals, let alone to escape into the world of objective perception and thought that Einstein described. 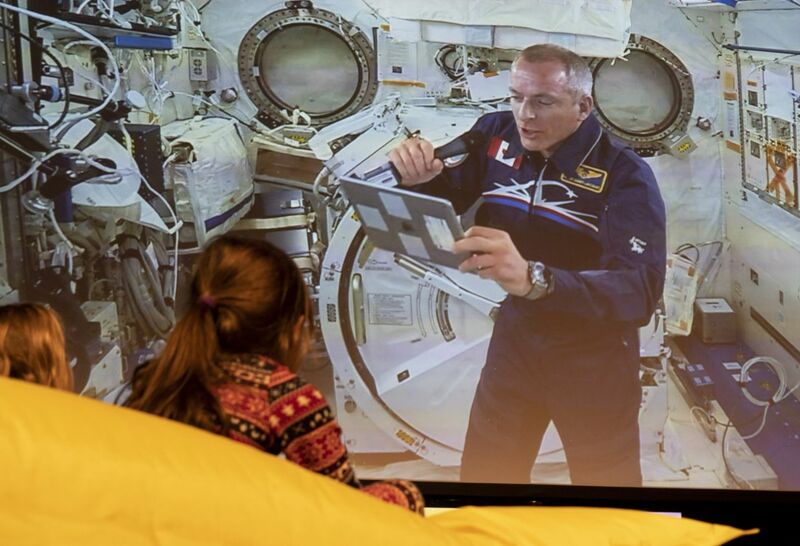 Astronaut David Saint-Jacques, aboard the International Space Station, reads a story to a group of children gathered at the Canadian Space Agency headquarters in Longueuil , Que. 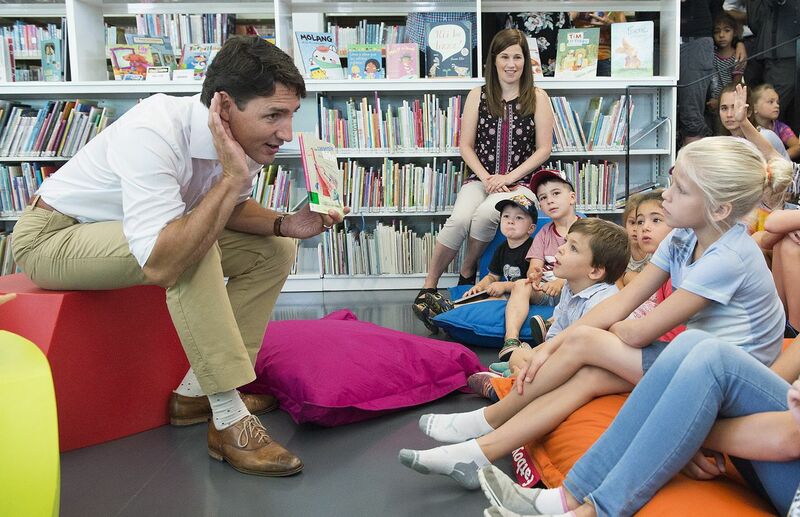 Prime Minister Justin Trudeau reads to children during an event at a library in Saint-Eustache, Que. In the digital era, life can be an isolated affair. By one recent assessment, rates of loneliness have doubled since the 1980s. Today in the United States, upward of 40 per cent of adults suffer from some degree of isolation. We are social animals, as Aristotle said. Feeling disconnected can take a grievous toll. Lonely people are three times as likely to report symptoms of anxiety and depression, according to a Danish study, and face double the mortality risk from diseases of the heart. “The world is suffering from an epidemic of loneliness,” former U.S. surgeon-general Vivek Murthy wrote recently. “Loneliness causes stress, and long-term or chronic stress leads to more frequent elevations of a key stress hormone, cortisol. It is also linked to higher levels of inflammation in the body. This in turn damages blood vessels and other tissues, increasing the risk of heart disease, diabetes, joint disease, depression, obesity and premature death. 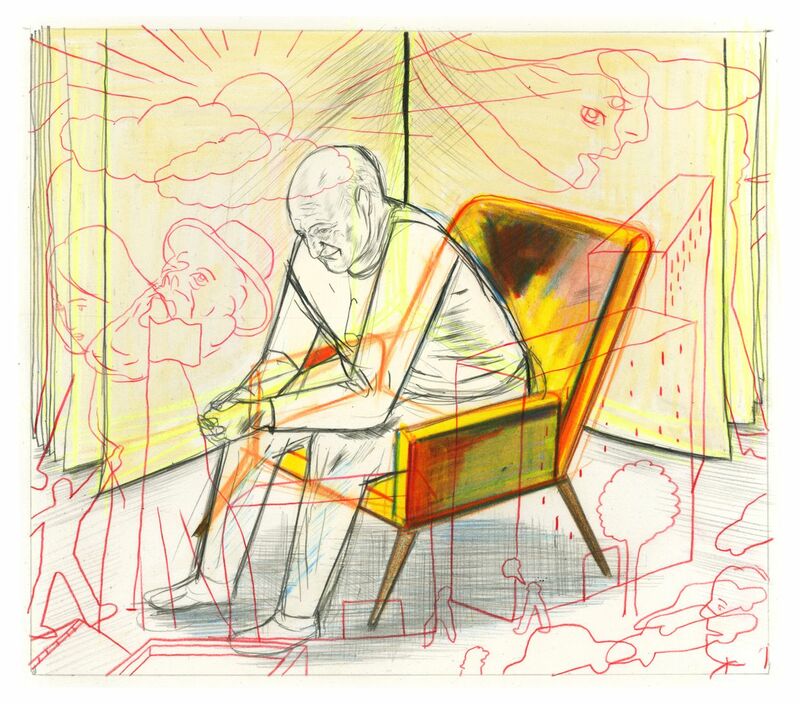 Chronic stress can also hijack your brain’s prefrontal cortex, which governs decision-making, planning, emotional regulation, analysis and abstract thinking.” It’s an awful catalogue of suffering, given how simple and inexpensive the means of relief. We humans are not even the only species to benefit! Dogs do, too, which is why volunteers at the American Society for the Prevention of Cruelty to Animals now read aloud to animals recovering from trauma. Victoria Wells, who runs ASPCA’s behaviour and training program at its headquarters in New York, came up with the scheme after seeing how traumatized dogs responded when she sat outside their kennels playing the guitar. Shifting from music to reading made it possible for a larger number of volunteers to pitch in. To minimize stress, readers learn to use a reassuring tone of voice, and sit so that they’re not facing the dogs. When I stopped in, a retired opera singer was reading the 1967 sci-fi thriller Logan’s Run to half a dozen dogs. There was lots of noisy barking when she began, but soon her voice settled on them like an audio blanket, and the animals subsided. If even dogs flourish when we read to them, it’s hardly surprising that people do, too, whether it happens by design in a weekly get-together or in a moment of serendipity in a hospital room. Literature shared by the voice is an opportunity for encounter, companionship and self-discovery. It’s a balm for the lonely heart and an escape route from quotidian dreariness. It offers connectedness both in the moment and, in a deep way, with the full richness of human experience. Adapted excerpt from The Enchanted Hour by Meghan Cox Gurdon (c) 2019. Published by Harper. All rights reserved.